The House of Representatives Committee on Environment has directed Shell Nigeria Exploration Company to pay the sum of 3.6 billion dollars, which is about N604 billion naira as damages for the Bonga oil spill caused by its equipment failure. The Chairman of the Committee, Uche Ekwunife, gave the directive during an investigative public hearing on the Bonga crude oil spill, which occurred on the December 20, 2011. “Since all efforts by this committee were tactfully rebuffed by SNEPCO, (it) has decided to adopt the damage assessment report submitted by NOSDRA as the lead agency in all oil spill management,” Ekwunife said. The breakdown of the independent value analysis adopted by the committee indicated that Shell is to pay 63.6 billion naira for direct losses, which are irreversible damages, another 103.192 billion naira for loss of income, 85 billion naira for provision of water, while 27.4billion naira is for forestry. For the indirect losses, the oil company is to pay 14.35 billion naira for health hazards; eight million naira for injurious affection and 302.4 billion naira for punitive damage. The House reached the decision based on the report of the National Oil Spill Detection and Response Agency (NOSDRA), which previously recommended a fine of $5 billion. NOSDRA estimated that around 40,000 barrels were spilled when a tanker was loading crude at the offshore platform operated by Shell’s subsidiary SNEPCO. NOSDRA has previously said the spill had hurt locals in the area who rely on fishing for their livelihoods as the slick covered an area of around 950 square km. 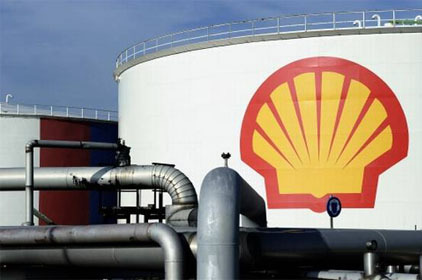 Shell is one of Nigeria’s oldest energy companies. Shell companies in Nigeria produce oil and gas from land and swamps in the Niger Delta and from deep-water reserves some 120 kilometres off the coast. Shell also operate Nigeria’s largest liquefied natural gas (LNG) plant, which exports all over the world.